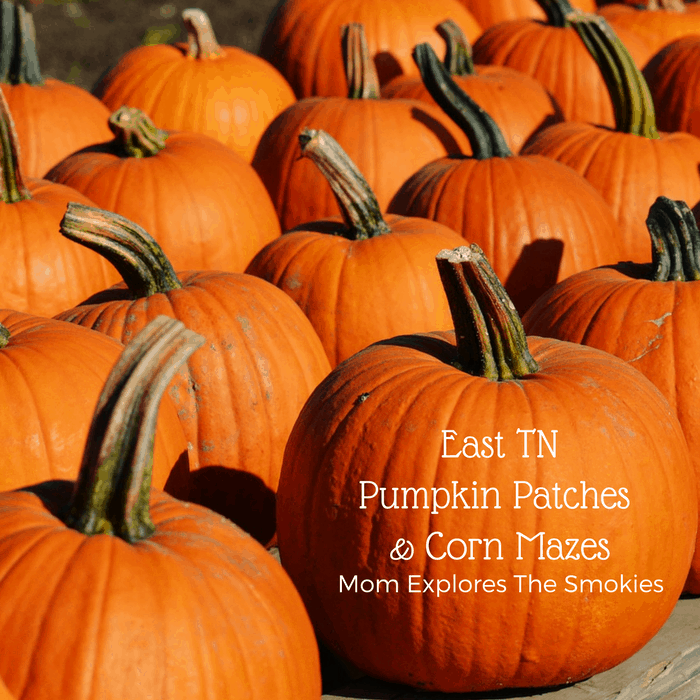 Pumpkin patches and corn mazes are the perfect pick for a fabulous fall outing. 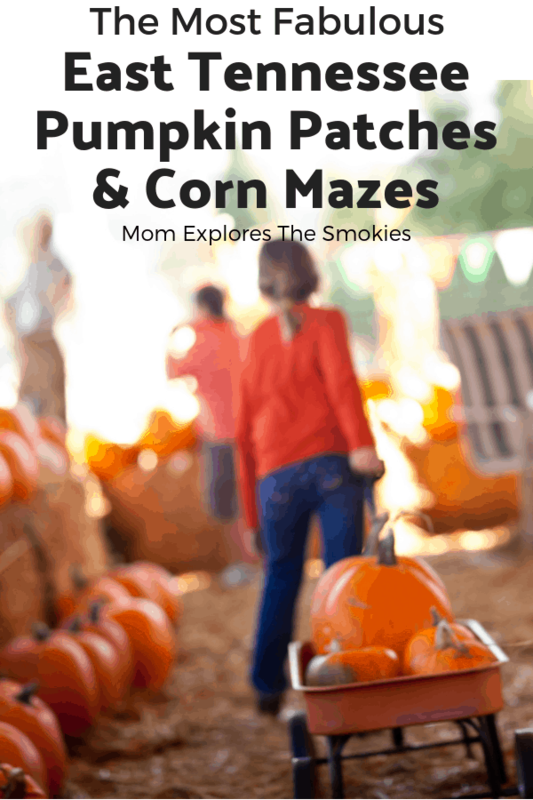 Thankfully Knoxville, The Smoky Mountains, and their surrounding areas offer a variety of choices for your family farm fun. The farms featured below boast a variety of festive activities including pumpkin picking, hay rides, petting zoos, farm stores and more! We’ve also provided some fabulous tips to help you survive your trip! Consider visiting the farm earlier in the morning or later in the day to avoid the sweltering mid-day heat. Many corn mazes even offer haunted mazes at night. An over cast day can also provide great relief from the heat, if you time your trip to avoid the storm. Be sure to bring tote bags or a collapsible wagon to make transporting your pumpkins easier. If you are taking a hayride, bags are the way to go. At a pumpkin patch or corn maze, strollers are definitely more trouble than they’re worth. Consider baby wearing instead. By their nature, farms have a lot of dirt. Come prepared to clean little hands by bringing hand wipes or sanitizer, especially if you are planning to eat while you’re there. Some farms only accept cash, so be sure to verify with your chosen farm prior to leaving for your trip.